Our three sons L-O-V-E everything Disney. They have loved Disney Junior for years, but ever since we visited Walt Disney World last year, it has become a huge part of their fondest memories and we all cannot wait until we go again. And they are getting into Star Wars, as well! While they haven't seen the newest movie, they are all about reading books, playing with toys, and watching old Star Wars movies with Daddy. We love Jake, Sofia, and Mickey Mouse, too! 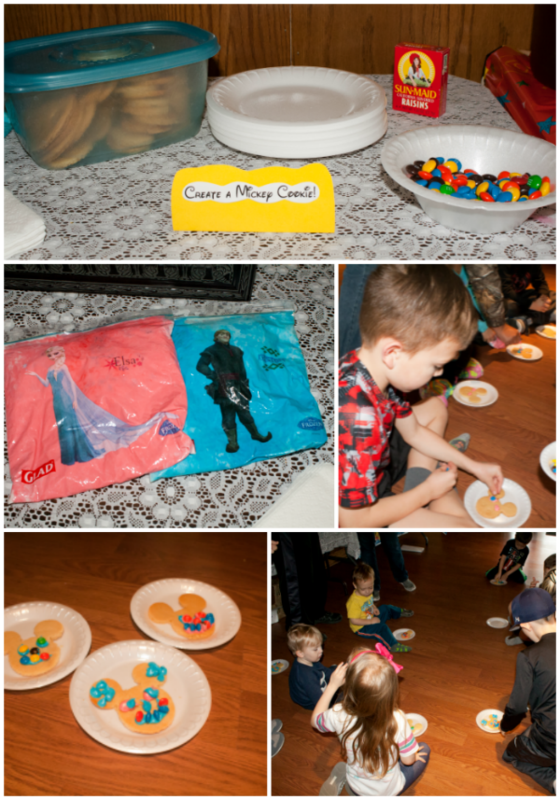 So when I was given the opportunity to throw a Disney preschool playdate, I was so ecstatic! While the playdate was aimed towards preschool kids, ages 3-5, we had kids aged 2-9 there and each and every one of them, including the adults, had a blast! Who doesn't love Disney?? 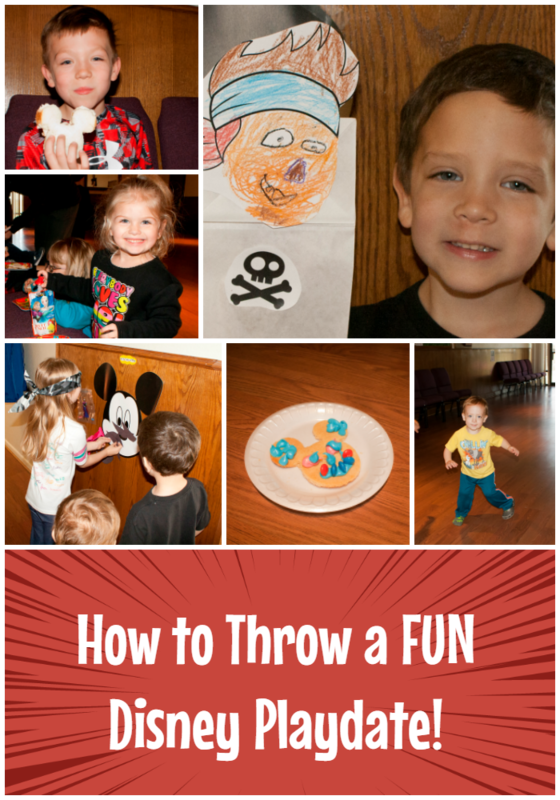 So how do you throw a super fun Disney preschool playdate? The good news is that because everyone loves Disney and because there is so much Disney stuff out there…throwing a Disney playdate is pretty easy! And you know I love stuff that is easy! Our party was at 4 PM, so I went with light snacks and easy sandwiches. 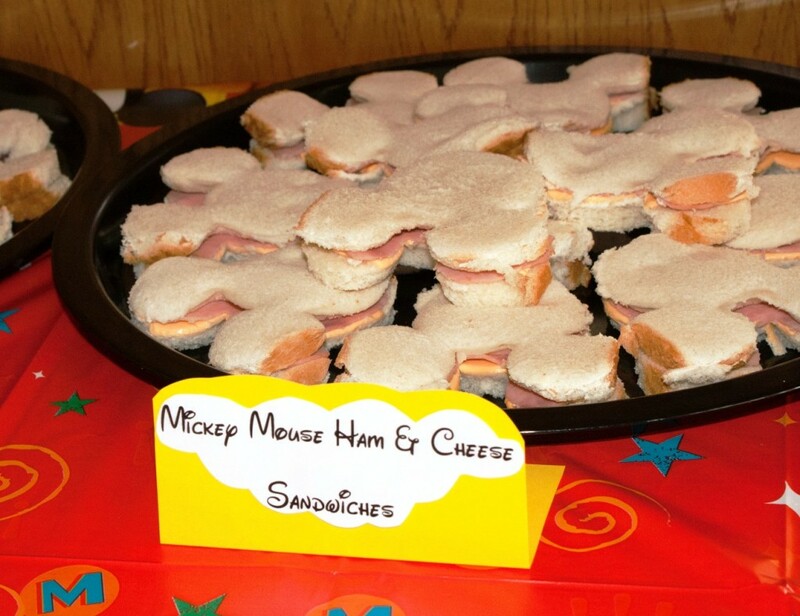 I had a Mickey Mouse sandwich cutter and made fun Mickey peanut butter and jelly sandwiches, as well as Mickey ham and cheese sandwiches. 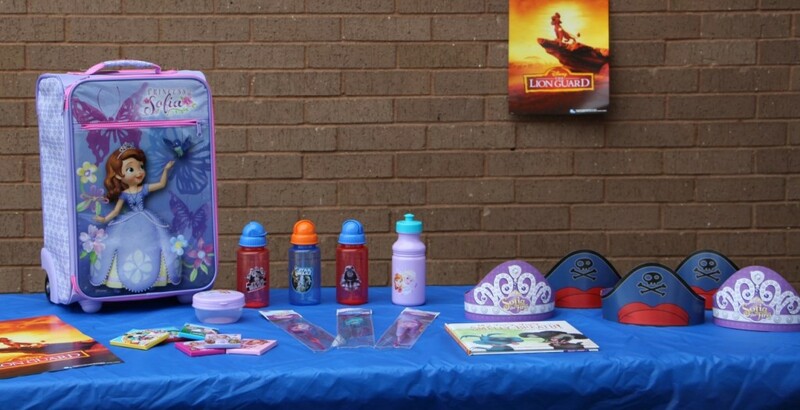 I picked up some Frozen and Mickey Mouse juice, tea for the adults, and milk to mix with the Nesquik® that was sent to us in the party package. 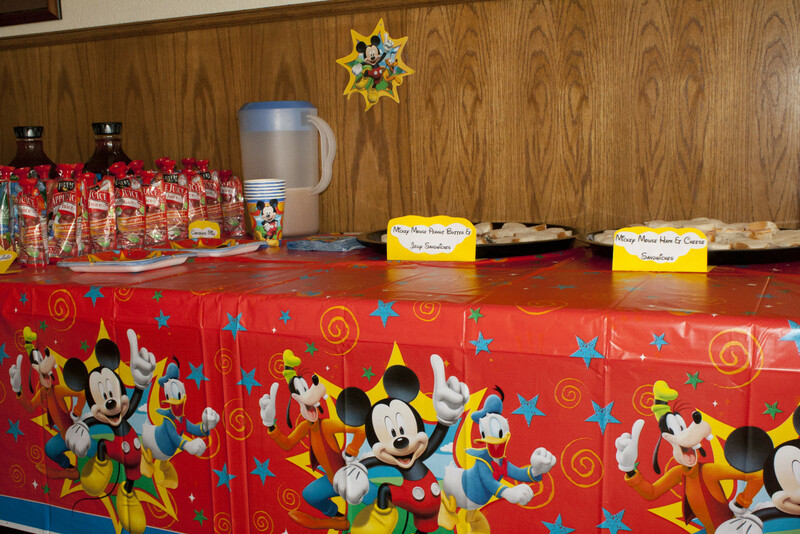 Setup was easy with the Mickey Mouse party supplies, too! 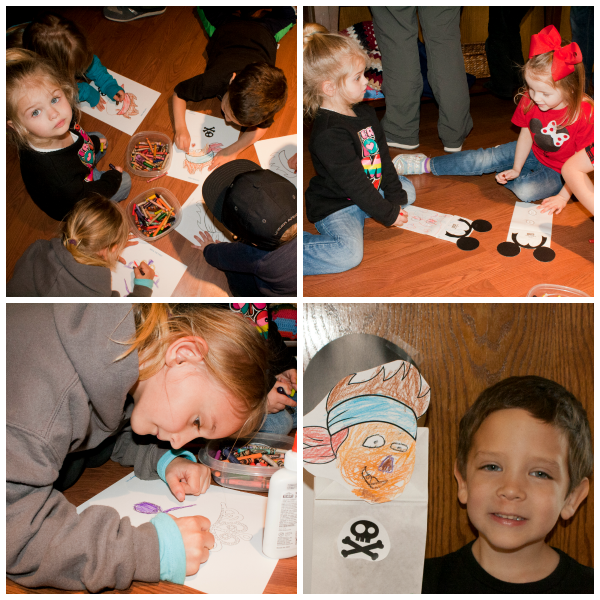 The kids enjoyed making puppets of Disney Junior characters – Doc McStuffins, Sofia the First, Jake, and Mickey! Every playdate must have games and we had plenty! 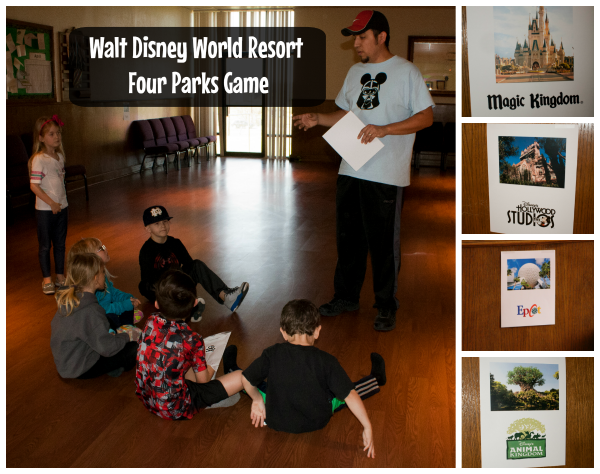 First, we played the Walt Disney World Resort Four Parks game. 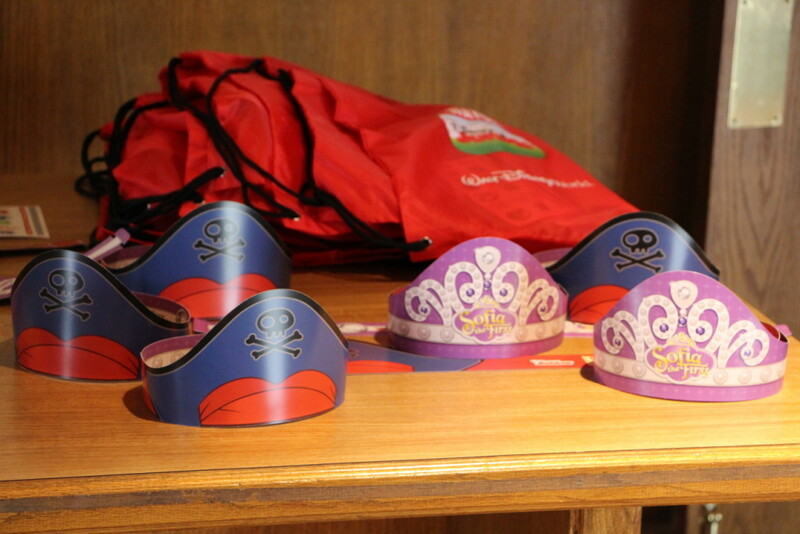 Before the playdate, I taped pictures of the four WDW resort parks on the four corners of our party room. When the kids were done with their Disney Junior puppets, we gathered them in the center of the room. Hubby told them the rules. Select a child to be the counter and have them stand in the middle of the room, close their eyes, and count to 10. When the counting starts, the rest of the players will choose a Walt Disney World Resort theme park to visit and stand in that corner of the room. When the child has counted to ten, he or she will call out the name of a WDW resort theme park (with eyes still closed!) and everyone standing in that corner has to sit down. The player will count again and call out another WDW theme park until there is only one player left standing. The last player standing gets to be the counter in the next game! 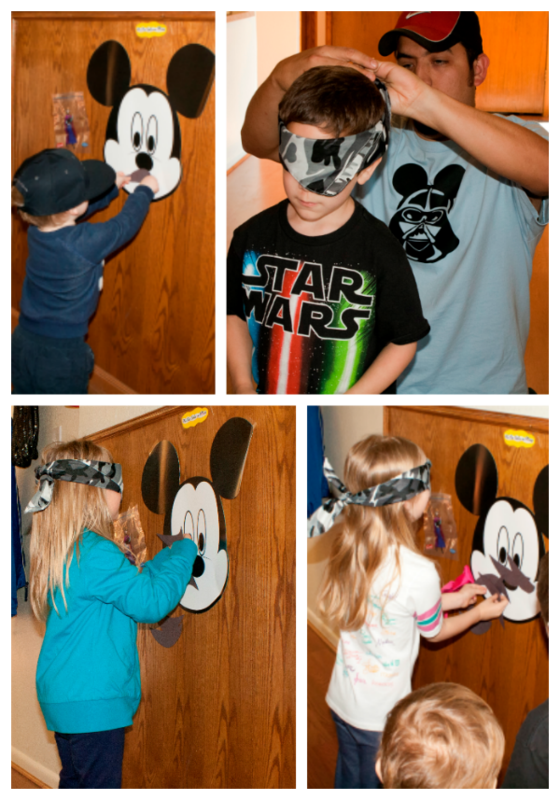 Next up, we played Pin The Smile on Mickey! Mount the Mickey face (missing a smile) securely on the wall. Cut smile shapes out of construction paper. Hand one smile to each player, with a piece of tape on the back. Blindfold the first player and spin them around a few times to throw off their sense of direction. Have the player try to place Mickey's smile on his face! 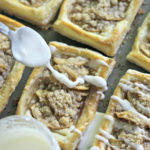 Allow each child to have a turn. The player who gets the smile closest to the correct spot wins! For the final fun at our playdate, we designed Mickey cookies! I had made Mickey cookies the night before, and laid out raisins, candy, and blue and pink icing to decorate Mickey! The Glad Frozen themed bags were perfect for mixing the food coloring gel and icing. I just snipped off the corner and the kids were able to squeeze out the perfect amount for their cookies! 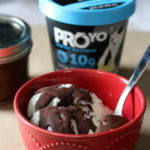 It was delicious fun! Throughout our party, we gave away some awesome door prizes to kids AND adults! 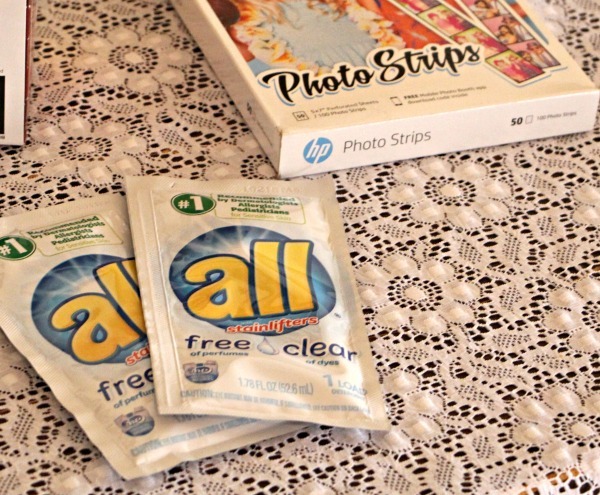 The adults had fun HP Photo Booth Strips, all® free clear detergent samples, and lots and lots of coffee to choose from! 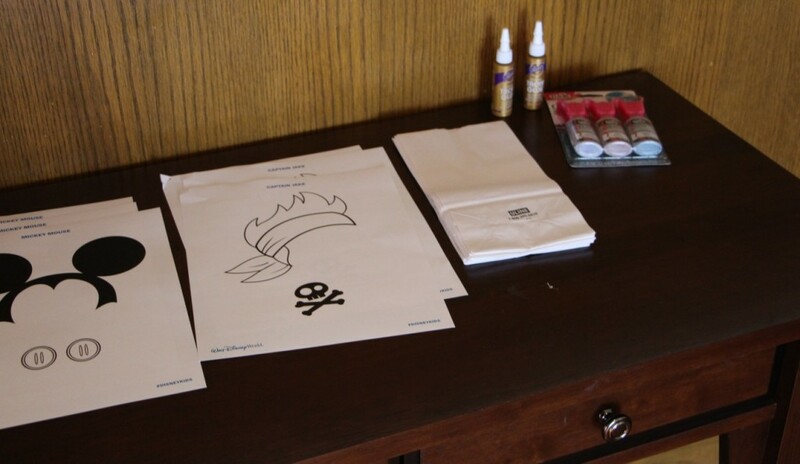 Thanks to the sponsors, each child was able to go home with a pretty sweet party favor! 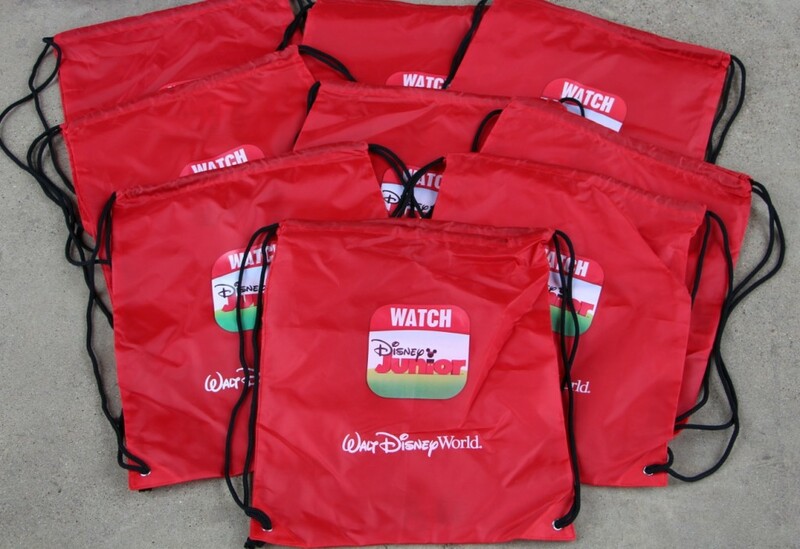 A Disney Junior drawstring bag, Sofia/Jake hat, The Lion Guard poster and temporary tattoos, a map of Walt Disney World with the preschool age kids highlights and more! 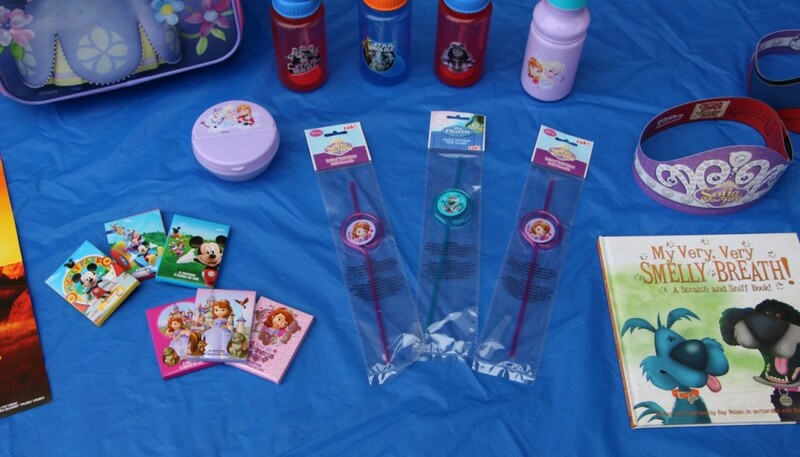 If you want some of these awesome party favors, I am sure they are around in stores and online, or you can find awesome Disney Junior favors! A quick search found some cute Sofia tiaras similar to the ones at our party. We all had SUCH a fun time with all of the activities, food, friends, and prizes! I cannot wait to have a fun Disney playdate or party again soon! I teamed up with Walt Disney World and MomSelect to throw a Disney Preschool Playdate. I received free products in order to host the playdate. The opinions expressed here are all my own. Pictures are not to be used without permission. Special thanks to Melissa Allred Photography, HP, I Love To Create, Banfield Pet Hospital, GLAD®, all®, and Nesquik®, as well as our little friends and their parents for making this playdate possible! I love the mickey sandwiches! My kids love eating sandwiches in shapes! Looks like you all had a lot of fun! Thank you! That was such a fun game, for sure! 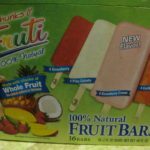 Natural Chunks O' Fruti Fruit Bars – A Healthy Snack Alternative!